Revolutionary Silver, nickel-coated cases eliminate the potential for corrosion, improve feeding, and are easier to see in low-light conditions. Propellents are engineered to protect your night vision by minimizing muzzle flash. 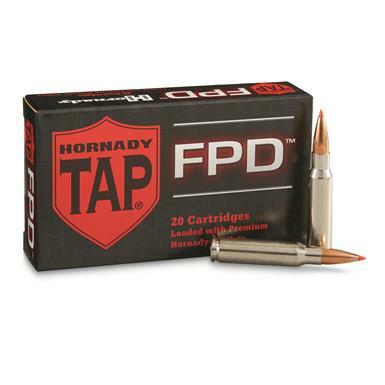 Hornady Tap Rifle, .308 Win., TAP-FPD, 155 Grain, 20 Rounds is rated 4.8 out of 5 by 6. Rated 5 out of 5 by Phil from Great Price! Great Ammo! Works as advertised. 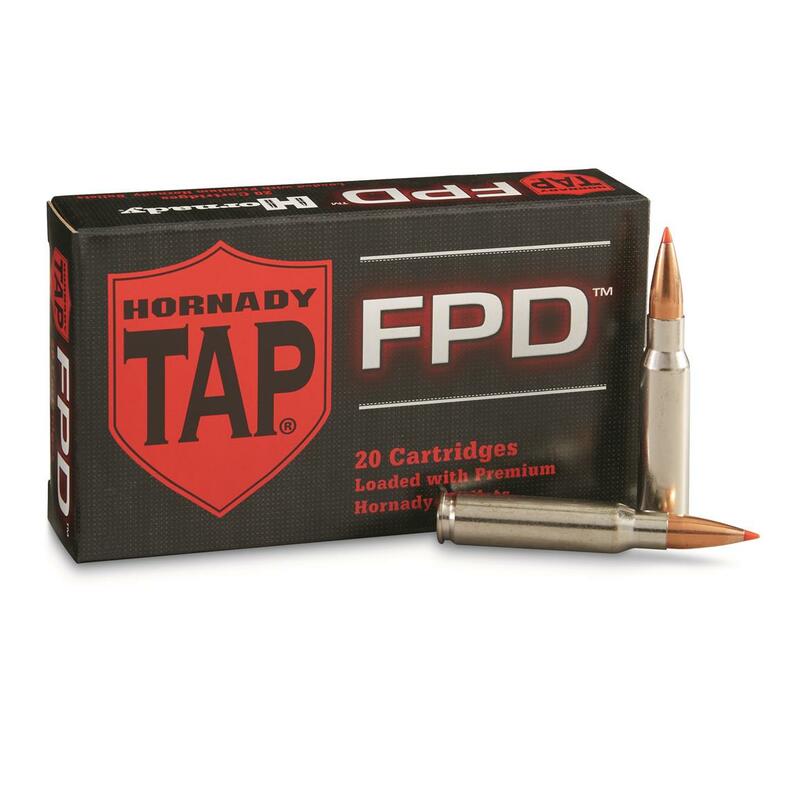 I like to keep a "few rounds" of Hornady's TAP on hand in case I would need to use the .308 in an urban environment for home/personal protection. TAP does a good job addressing the concerns with over penetration, while maintaining outstanding reliability and performance. Rated 4 out of 5 by MICHAEL from Nice ammo for personal defense or hunting. Rated 5 out of 5 by JOHN D from I have a Savage Mod. 10 Precision Carbine and this Hornady round shoot sub min. groups at 100yds consistant. Its is good for deer hunting also. Good grouping at 200yds and 300yds. Rated 5 out of 5 by GARRY from i have not used this item yet, so i can not say much about its performance, with my experance with the use of hornady products i think it will not fell me for the product has performed great in my 30/30 carb for extended range.